Lawrence A. “Larry” Weaver N5THQ, age 77, of Atlanta, Texas went silent key February 13, 2018 at his residence. Larry was born January 12, 1941 in Texarkana, Arkansas to Edgar and Helen Weaver. 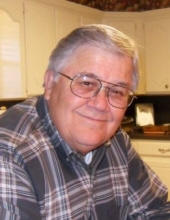 He was retired from Red River Army Depot as a systems analyst after almost 30 years of service; was a member of the Radio Amateurs of Cass County and the Four States Amateur Radio Club. He enjoyed spending time working on electronics, computers and enjoyed flying. He was preceded in death by his parents. He is survived by a son, Robert Weaver of Wake Village, Texas; daughter, Julia Drummond and husband Jeff of Mansfield, Texas; brother, Charlie Weaver and wife Sara of Atlanta, Texas; sister, Cathy Pulver and husband Roy of Spring, Texas; two grandchildren, Jordan and Jackson; and a number of other relatives. Funeral services will be 2:00 pm, Friday, February 16, 2018 in the Hanner Funeral Chapel with David Taylor officiating. Visitation will be Thursday, February 15, 2018 from 6 pm to 8 pm at Hanner Funeral Service. Interment will be in Chapelwood Memorial Gardens.